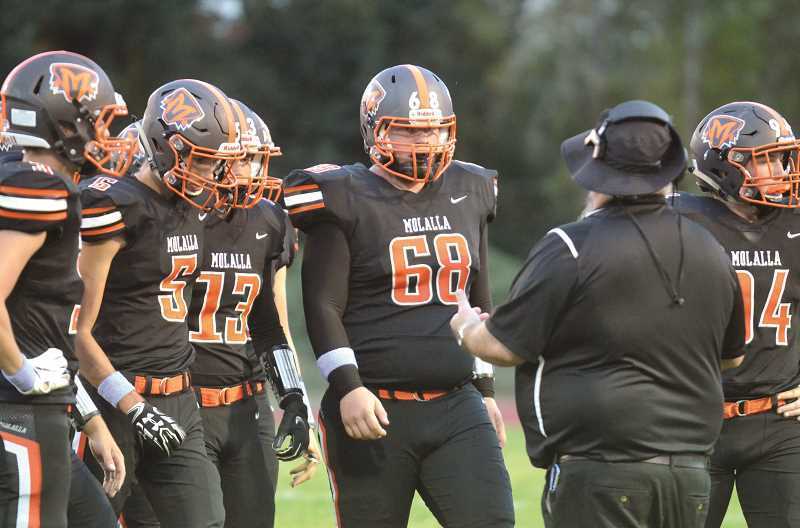 Last Thursday, a community parent showed up to the Molalla school board meeting to comment on the cost of sports and to inquire about the athletics budget—a topic that had already been on the minds of board members and administrators. In December, the board discussed the athletics budget and furnished a series of questions to administrators for answers. According to Superintendent Tony Mann, he has worked with Molalla High School Principal Brad Berzinski to come up with a two-page memo responding to those questions. Then the board intends to discuss it again at their February work session, which is open to the public. Enter local parent Will Martin. "I grew up in this town," Martin said at the Jan. 10 meeting. "My boys are playing sports now for Molalla High School, my middle son is playing sports at the middle school, my youngest is playing for Clarkes or whatever, Molalla Youth Sports. "I guess one of the reasons why I'm here is I'm a little irritated about how much money we have to spend on sports," Martin said. He went on to talk about how kids are required to fundraise in addition to paying the fee, how some families can't afford to participate and asked for answers to where all the money is going. He far exceeded his three-minute-comment allotment and sparked a conversation between board members and administrators. Mann addressed Martin directly to let him know he has prepared the memo and that the conversation is alive among district decision-makers. "You know, if I'm sitting in your seat, it's, 'Gosh, this is a lot of talking-heads stuff Tony. Give me a better answer that that,' " Mann said to Martin. "I get that. I get that. But I owe it to the board to bring answers to their questions, and I think having patrons like you in the board meetings to hear first-hand the board's deliberations is really valuable." But Martin asked for real answers. Where is all that money going? Why are we fundraising for helmets? Why is the district charging youth sports teams for use of facilities? Can the whole athletics department be audited? When it came to questions about the district's handling of funds, Mann responded clearly. "I can assure you that our management of those public funds, because those are public funds, is impeccable; and we've got every record to show where those dollars are both brought in and where they're spent," Mann said. "So if the board is interested in that level of audit, this administration and our high school principal are prepared to lay that all out for anyone, and I'd stand behind it." Several board members commented on the topic, showing sympathy concerning the notion that some kids are not able to participate. Board member Ralph Gierke even moved to add the discussion to the evening's agenda later on, which was approved. Per the amended agenda, when the topic came up again at the end of the meeting, Mann invited Berzinski to speak. Berzinski firmly dispelled rumors that fundraising dollars are used for helmets, and noted that Athletic Department Secretary Deb Freshour always takes extra effort to work with families so that no one is turned away based on financial constraints. "Can I guarantee that there aren't families out there that don't come forward and don't make that need known?" Berzinski said. "Of course not. There might be folks sitting on the sideline without our knowledge that that barrier is there and they don't communicate that…But when that need is communicated to us as a school, we have never, ever let a financial barrier stand in the way of a student participating. "And if that means we take a reduced participation fee, if that means we take a fee over the course of several months' time, that's what we do," Berzinski added. Board Chair Calvin Nunn then asked to add to their previous questions submitted to administration. He wanted to know how many kids may need scholarships. "If that's a number you could come up with," Nunn said, "because in my mind, that would have an impact on our athletic budget." In the end, Mann summarized by suggesting there's an opportunity for clearer communication with parents and coaches and that the athletic budget is just too small. "In spite of a five-figure increase to the general fund allocation for athletics, it's not enough," Mann said. "We looked at, with Mr. Berzinski's assistance, the per-athlete allocation to athletics relative to other 4A schools our size; we know that if we want to maintain the programs we've got, we can't continue to pretend or be as lean as we are with the athletic fund. "So, more information to come," he said. Mann also acknowledged that the process will take time. Following the meeting, both Mann and Berzinski emailed district athletic coaches to acknowledge the fundraising burden that's been put on coaches, to open communication with them and to seek their input as they continue to prepare for the 2019-20 budget.